As I passed by one of the dormitories belonging to Moscow State Pedagogical University in the southwest of the city, I noticed several Russian flags hanging from the balconies. 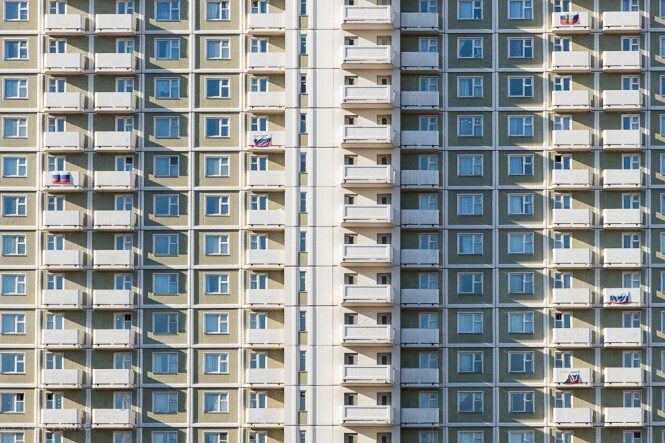 While only 7 of the 132 or so balconies have a flag, it is unusual to see Russian flags on apartments (or dormitory) balconies….unlike in the US, where you often see American flags hanging outside people’s homes. I passed the same Moscow dormitory in January, when I was photographing in the area and I don’t recall seeing the flags then. Thus, I suspect the flags were hung post the Crimean annexation and sanction imposition, when there was a spike in patriotic sentiment in Russia. Nonetheless, I haven’t seen many flags around Moscow – though did notice one placed in a cafe I regularly visit. I can see more US flags in front of homes within a 15 minute walk in my neighbourhood in Brooklyn, New York than I will see in an entire day walking around Moscow residential neighbourhoods. Seven flags hang over balconies at the high-rise dormitory belonging to Moscow State Pedagogical University (front, centre). 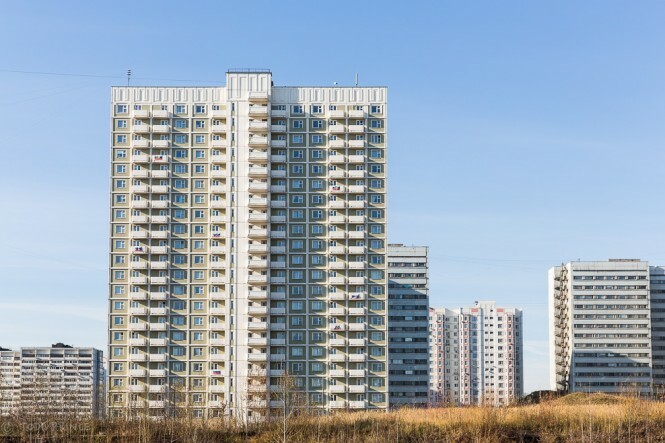 A close-up of the dormitory belonging to Moscow State Pedagogical University. 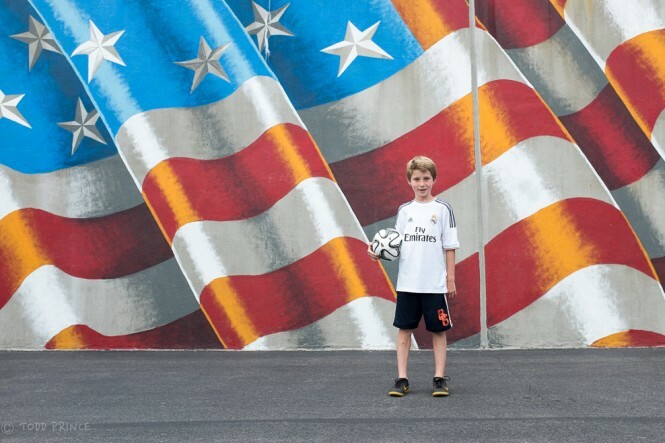 A huge US-flag painted on a handball wall on the premises of a public school on my block in Brooklyn.